Rediff.com » Movies » It's a girl for Neha and Angad! It's a girl for Neha and Angad! 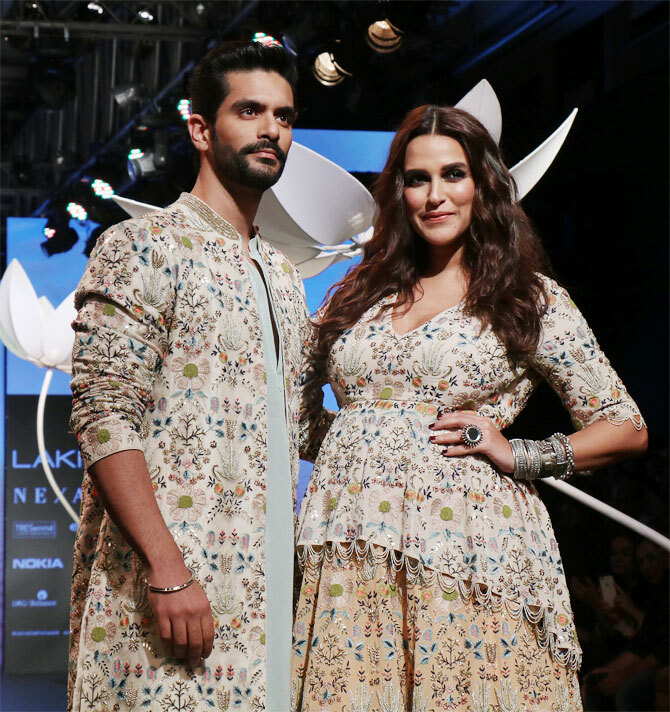 Neha Dhupia and Angad Bedi welcomed their first child, a baby girl, on Sunday, November 18. Baby Bedi arrived in our world at 11 am. Both mother and child are in good health, Neha's publicist informs us. Dhupia, 38, and Bedi, 35, wed on May 10 this year. Angad's dad -- Bishan Singh Bedi, the greatest left-arm spinner of all time -- must be thrilled! Neha Dhupia marries Angad Bedi!